Ever felt the urge to start doodling some funny quips in the form of a comic but found the process of drawing characters too daunting? 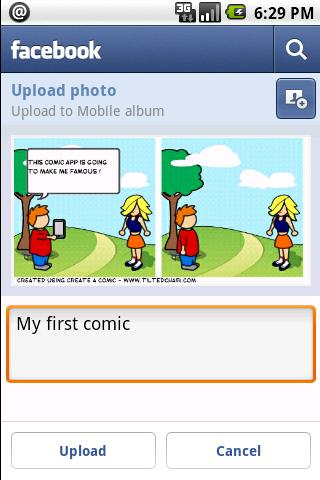 With Create A Comic you can create Dilbert like comics as easy as touch, type and share. It’s so easy even your grandmother could make comics!